MCL Land has sold 150 of the 200 units it has released at its 414-unit Terrasse condo in Hougang. The average price for the 99-year leasehold, five-storey development in Hougang Avenue 2, whose preview started on Saturday (May 21), is $950psf. The cheapest unit in the project costs $580,000 for a 506sqft one-bedroom unit on the second floor, which works out to $1,146psf. The development also has two to four-bedders as well as nine five-bedroom penthouses of about 2,217sqft each costing up to $1.85 million ($834psf). MCL has released four of the five-bedroom penthouses, of which two have been sold. The developer has yet to release 15 garden duplex units of about 2,490sqft each spread over the ground and basement levels. All unit types received even interest, with 90% of the buyers locals and permanent residents. The rest were foreigners from countries including Malaysia and China. 60% of buyers have HDB addresses, many of them within 3 to 5-km of the project. The project’s design affords views of either a water feature or swimming pool for nearly 80% of the units. The project will include a tennis court, a multipurpose court as well as three clubhouses. 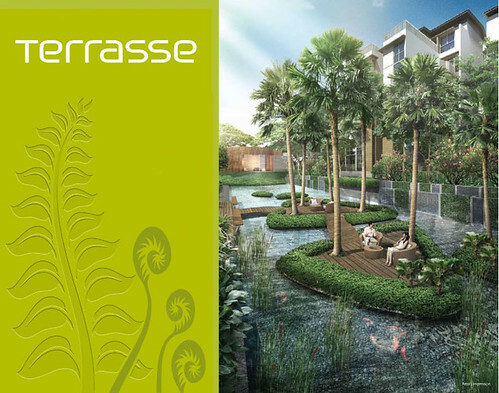 4 comments to ''Terrasse: Latest sales status"
Hi Folks, looking for a new condo in D19. Any comments over the above project, Terrasse, and the Minton? Hi Anonymous (25/5/11, 2:11PM): Unfortunately we do not know enough of Terasse (yet) to make a fair comparison with Minton. Maybe after we have seen the project? Sorry! no worries. thanks! look forward to your views!